We left the Tollhouse and cycled through the Altstadt to the river. The north bank was quiet with a reasonably good surface on a bank giving unusually good access to the river. At Lenzen we took the ferry towards Vietze en route to Hitzacker. 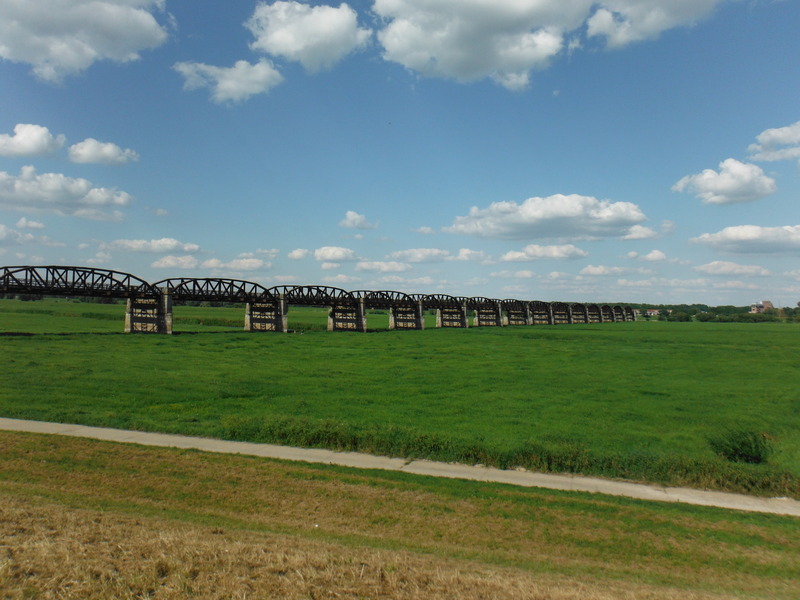 Adjacent to the small hamlet of Kaltenhof is an abandoned railway bridge – die Dömitzer Eisenbahnbrücke (right). The bridge dates from 1873 and was destroyed by the allies in 1945. 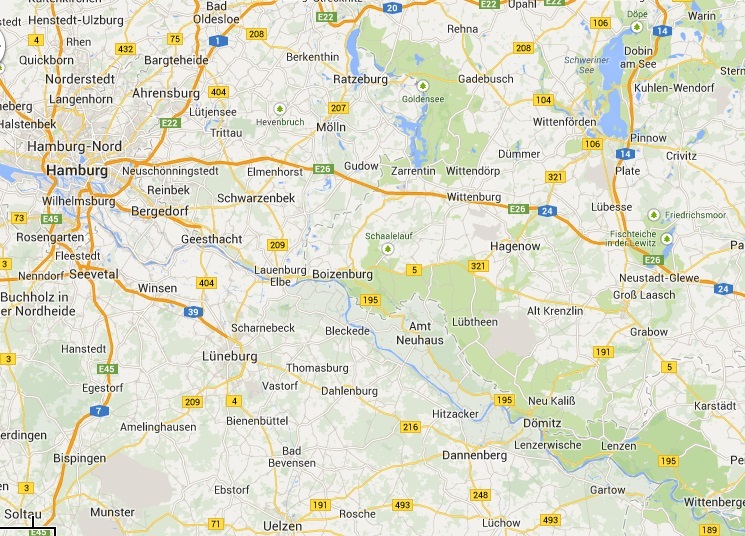 It was never reconstructed because it formed the border between East and West Germany. Seemingly what we see remaining is protected as a monument; but only the West German section remains as it was protected in law. In the East, it had greater scrap value. We arrived in Hitzacker in late afternoon on a Sunday. The main square was hosting a fayre with food, beer and children’s entertainment. Perfect for us to have an inexpensive outdoor feast of authentic Thai noodles, Apple tart and beer. We abstained from the bouncy castle. We were hungry and we were going to need the energy for the final section. The town itself competes with many similar hamlets in terms of historic buildings, ‘Fachwerk’. A really pretty town (new Rathaus, left). Hitzacker also suffered in the late spring floods. We ignored a barrier on the path assuming – rightly in many cases – that it would be passable. 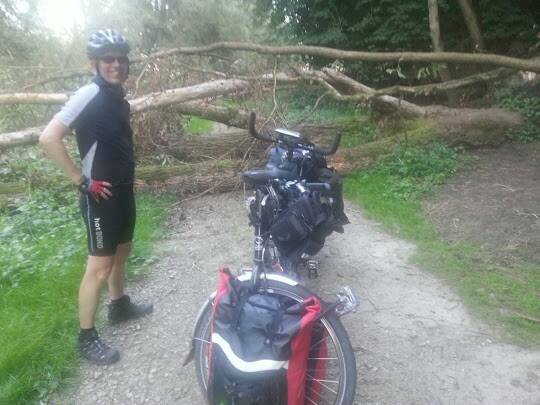 However, we had not anticipated 10 fallen trees along a short stretch of river on the south side heading to Neu Darchau. On ten occasions we had to unload the tandem and lift it over, or thread it under, a tree (right). Beyond the obstacles the road ascends towards Drethem. By this time the light was fading. We opted for the campsite at nearby Walmsburg. It certainly was not very busy. The elderly proprietor answered the bell and took our money. She even sold us beer. 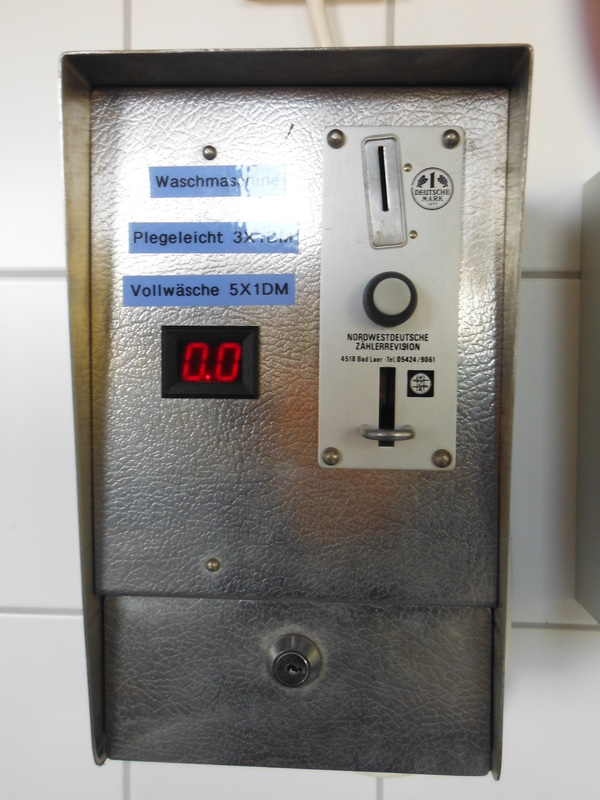 What she did not tell us, however, was that most of the appliances on the campsite were powered by Deutschmarks rather than Euros or even tokens. A rather sweet phenomenon, but a bit frustrating when a functioning washing machine lays idle for want of the right defunct currency. I did the laundry by hand and in cold water. I discovered another endearing aspect of this campsite, the plumbing. The taps all dispensed water tinged with rust. The clothes, whilst undoubtedly fresher, looked like they had been tie dyed. Bearing in mind there are alternative campsites within 10km, best avoid. Onward through Bleckede and across the river by ferry. 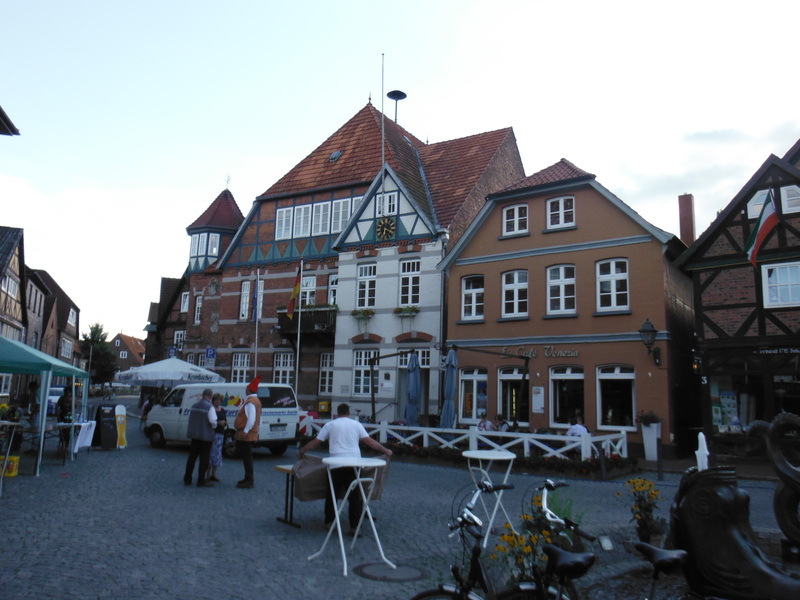 The surface changes to very uneven cobbles through the historic and extraordinary old town of Lauenburg. With hindsight, it would have been nice to have spent some time there, but we were focused on getting to the environs of Hamburg in daylight. The section from Lauenberg to Tesperhude was extremely challenging. The path takes riders through dense woodland on a slippery surface with lots of ups and downs and bends (and steep drops). The river pokes through the tree canopy to remind riders that this is still the Elberadweg. Then onwards to Geesthacht – a working port. After stopping for some food in the town itself, we embarked on our now obligatory evening ride. The plan was to camp at Fünfhausen with a view to using it as a base for our day out in Hamburg (there is an hourly bus service). It was not to be; the campsite is a private park with no day camping facilities. The town itself has no accommodation. Indeed, there is no accommodation on this section at all (we were, essentially, on the ‘wrong’ side of the river with no way of getting across). 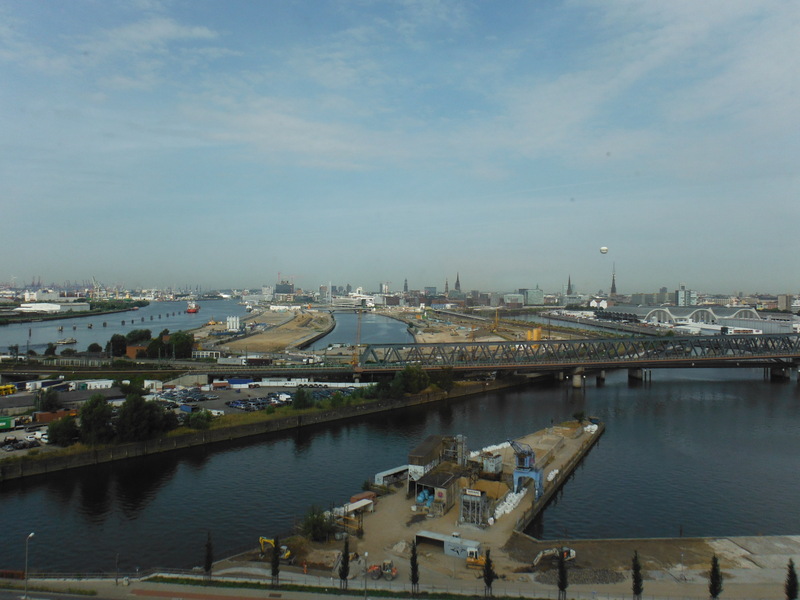 We eventually found a hotel in Hamburg at 2300, having discovered that the City was hosting some kind of festival leaving accommodation of any kind at a premium.